Is Your Uber Driver Giving You Stock Tips? Optimism, excitement and euphoria. Those are typical emotions seen at market tops. Wall Street insiders know that the "public" or regular Mom and Pop investor are usually the last ones to join into a stock rally. The joke goes when your hair dresser or your taxi driver are giving you stock tips, you know the current rally has reached its exhilaration phase. Wall Street took heart in the passage of the Health Care Reform bill in the House last week. That is the first step toward enactment of a "repeal and replace" plan for Obamacare. The stock market remains in an ebullient mood as the major indices climb to new record highs. Can Congress Deliver For the Economy? The health reform bill's passage in the House was viewed as the canary in the coal mine and viewed as a positive indication that Congress can indeed deliver on President Trump's legislative agenda. It is easy to get caught up in the euphoria of higher stock prices, but investors who are pouring fresh money into equities right now are late to the party. Last week's House health care bill passed by a narrow margin of 217-213. Notably, 20 Republicans crossed the aisle to vote against the bill. The next step involves the Senate and it is generally agreed the health care reform bill cannot pass in its current form there. 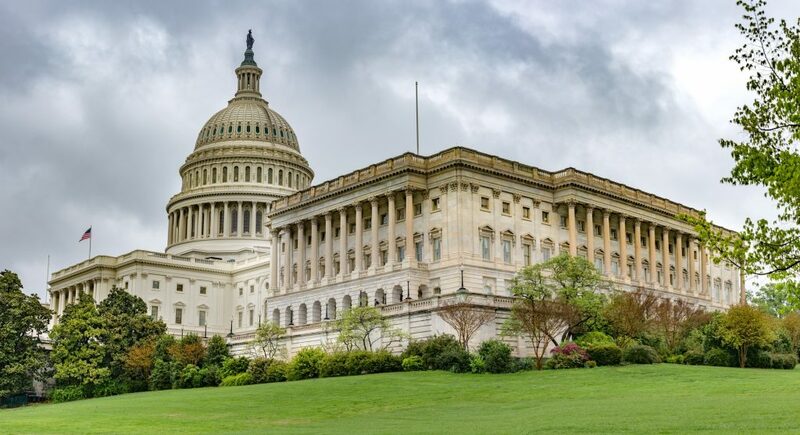 "The timeline for the bill remains highly uncertain, but it is likely that the process in the Senate will take longer to resolve compared to that in the House and may possibly take several months," says Mark Doms, Senior Economist at Nomura. "This timeline could adversely affect Republican tax reform efforts in Congress," Doms adds. If the Republican controlled Congress is unable to pass a repeal and replace law for health care, it calls into question what type of tax reform will be enacted. Many on Wall Street expect a significantly watered down version of the current tax proposals to be enacted. That means less lift to the economy overall. "We hold to our earlier expectation of a modest tax cut, instead of full-scale tax reform, as the most likely result. A modest tax cut would require much less time on the legislative calendar compared to comprehensive tax reform," Doms says. The stock market rally is being fueled by hope, euphoria and Pollyanna optimism that major reform will be enacted. Investors with long memories will remember how the Dot.com crash quickly unraveled in 2000. Gold has historically zero correlation to the S&P 500 (0.02) it has provided a proven diversification benefit to investors who have a large part of their retirement assets in stocks. The current cycle in stocks will turn. It always does. Bull markets don't last forever. Don't get caught up with the crowd. No, your Uber driver doesn't know more about the stock market than the Wall Street experts. Take the time to prepare your portfolio now.